It’s dark. My beard is dirty, my ammo is out, and the bugs are coming. 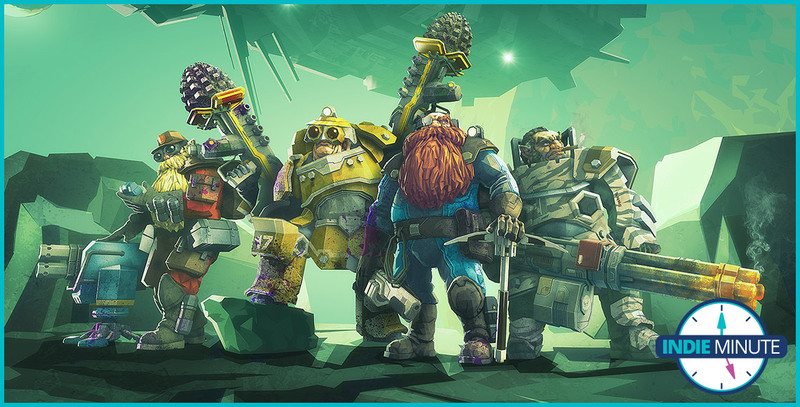 Welcome to Deep Rock Galactic, a brand new four-player cooperative game by Ghost Ship Games. The Denmark-based studio was formed in Spring 2016 and emerged 2 years later to release one of the most interesting co-op shooters of 2018. 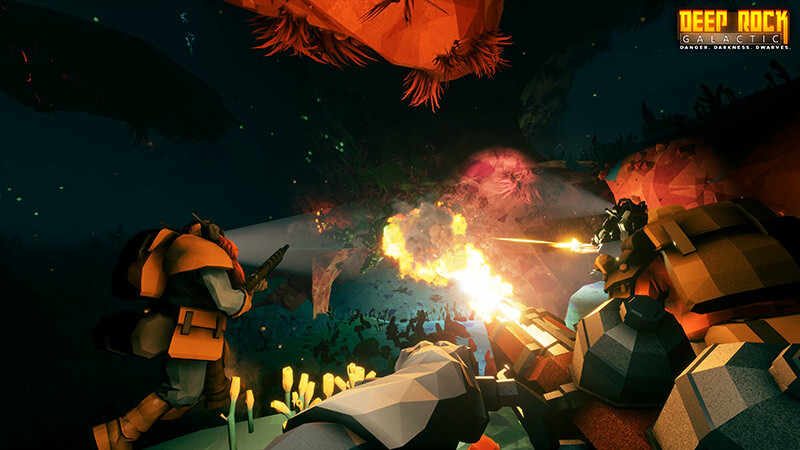 Deep Rock Galactic is one part Minecraft and one part Left 4 Dead. You and up to three dwarven friends explore the procedurally generated cave systems of Hoxxes IV in search of precious minerals while fighting off hordes of alien scum. The goal is to mine enough rock, gold and other gems to complete your objective and collect your loot while gunning down exploding ant creatures and other bug-like aliens along the way. There are four unique classes that players can choose from. The gunner wields a heavy machine gun, drops ziplines and lays down explosives. The engineer builds platforms on the fly and lays down defensive turrets. The driller uses powerful drills to dig holes into rock at a rapid pace and a flamethrower to burn aliens to crisp. Lastly we have the Scout, who guides the team forward with his flare gun, grappling hook and shotgun. This game may be in early access, but it’s the most polished early access game I’ve ever played. Ghost Ship Games plans to add more and more to the game including more diverse caves, more upgrades for your character and more. But for now, it’s time to deposit my gems with the MULE, call in the drop and prepare for the run of my life…because I have some sweet, sweet country music waiting for me at the jukebox back home. The Indie Minute is a short-form blog series about our favorite independent video games. Every few weeks, a member of our staff will write a 300 word-long blog post (a roughly minute-long read) about their current indie game obsession. Each post will highlight a different independent video game, its premise and what about it makes it so excellent. Our goal with this series is simple: to provide insight into the largely unexplored world of independent video games to you, our readers, and to grow as gamers in the process.